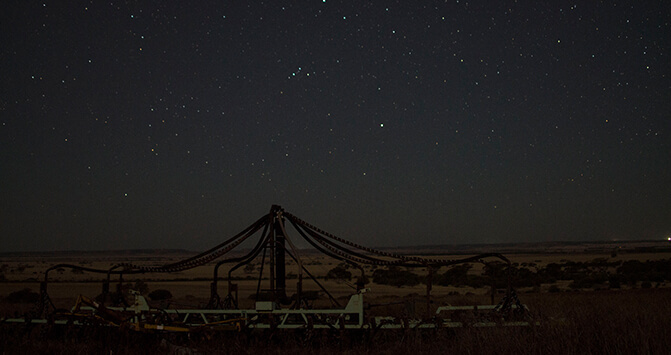 Stargazing in Western Australia is a world-class experience and Mingenew is home to some of the darkest night skies in the world. Check out the information below, and for more information on Stargazing in Mingenew, and the wider Mid West Region, visit Astrotourism WA. When you’re visiting Mingenew, make sure you go to Yandanooka Hall. Here you’ll find a great place to gaze at the beautiful night sky. You’re welcome to bring telescopes and binoculars too. 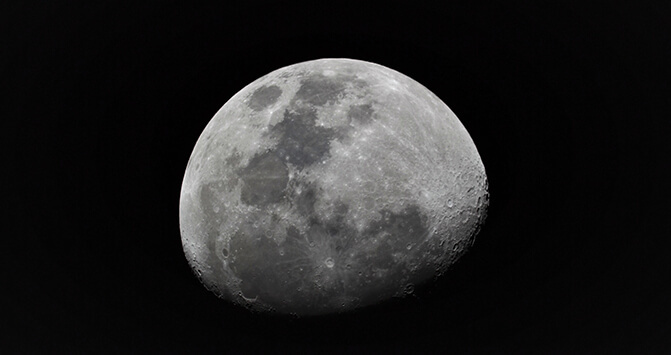 If you’re an astrophotographer you can’t miss seeing the Mingenew WA Space Centre! It’s an amazing location, perfect for taking images of the night sky over this special landscape. 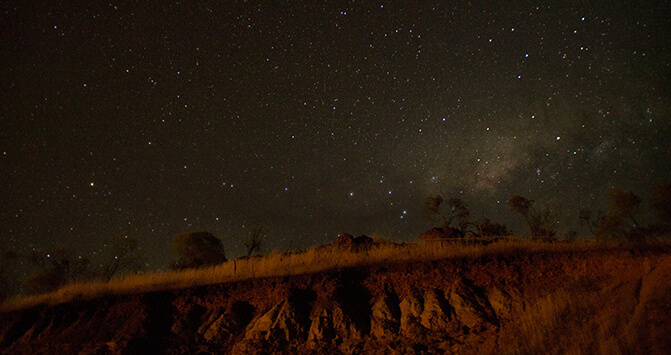 Find us on the Astrotourism WA Map and discover how we’re helping to protect the dark night sky in Western Australia. What makes Mingenew so special? The beautiful Milky Way sparkles directly overhead in the Southern Hemisphere and the views are magnificent. From the Southern Hemisphere, you can see the quintessential Southern Cross, the Magellanic Clouds (satellite galaxies to our own Milky Way Galaxy) and the beautiful Aboriginal constellation of the “Emu in the Sky”. On a moonless night, the stunning Milky Way Galaxy stretches across the night sky in all its glory. It feels like you could almost touch it! It’s something that everyone on Earth should experience more often. 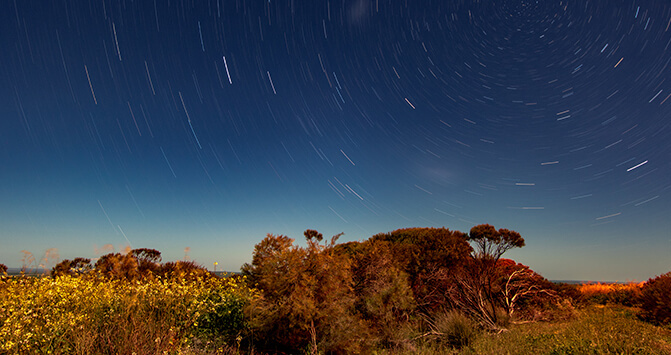 Mingenew is the perfect place to enjoy stargazing all year round. 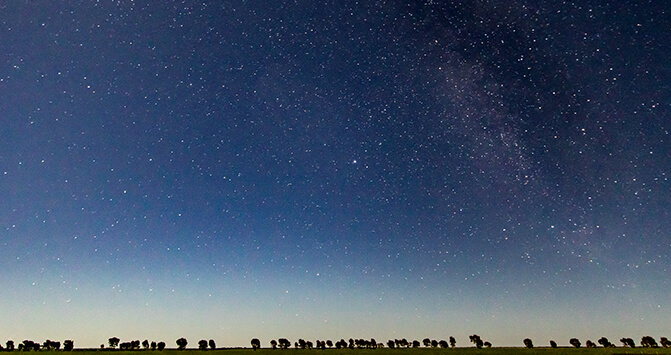 As a small country town, Mingenew enjoys the benefits of low levels of artificial light pollution, which means the nights are darker for astrophotography and the air is clean and pure for crystal clear stargazing. You can enjoy breathtaking night skies almost anywhere in the Shire, but we have some places which are designated astrotourism sites including Yandanooka Hall. When you head out to do some stargazing, remember to turn out all your lights. Artificial light destroys your ability to see the stars! The darker the night sky, the more stars you’ll be able to see. In some brightly lit cities, it’s impossible to see one star. In a world that’s getting brighter and brighter with artificial light pollution, WA communities like Mingenew are aiming to keep their night sky as dark as possible so that you can always visit to enjoy the wonder and beauty of the brilliant Milky Way stars. Mingenew is also home to a growing number of satellite tracking facilities. 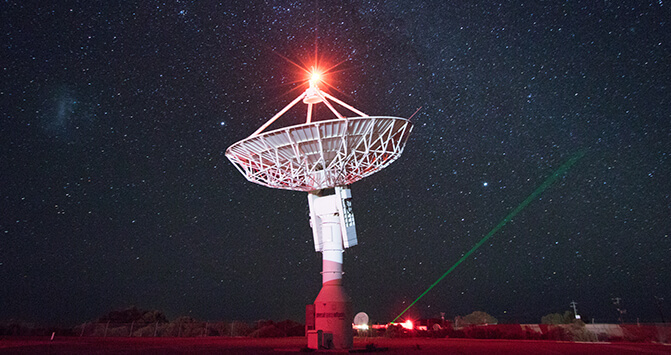 These includes the Western Australia Space Centre, which is responsible for a range of both national and international research and commercial applications.